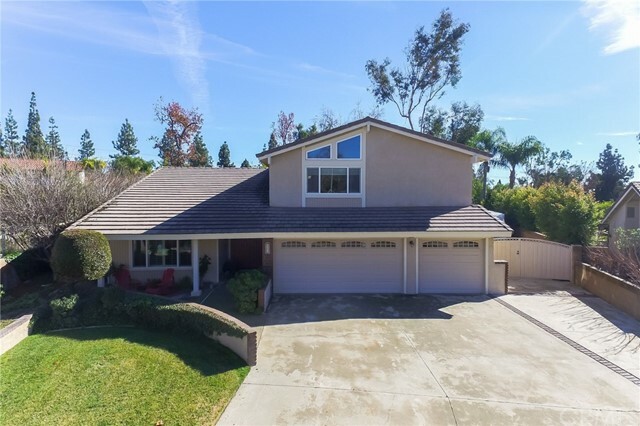 Upgraded 4 Bedroom/3 bath Pool/Spa Home with Mountain Views on One of the Largest Lots (Over 1/2 Acre) in One of the Most Desirable Neighborhoods in North Upland. Home has 3 Car Garage, plus Large Gated RV/Boat Parking Area for all Your Toys. Kitchen Includes Granite Counter Tops, Stainless Steel Appliances, and Yes, the Refrigerator is Included. The Large Master Bedroom Includes French Doors Leading to the Balcony, with Views of the Pool and Mountains, Fireplace and Walk-In Closet. Master Bath Includes Dual Sinks, Separate Tile Shower and Tub, and Tile Floors. All 3 Guest Bedrooms are Large. The Family Room Includes a Fireplace and Desk Area, and French Doors leading to the Beautiful Backyard. The Backyard is very Private and an Entertainers Dream with the Pool and Spa, Covered Concrete Patio, Basketball Hoop, Very Large Grass Area, Huge Shade Trees and Fruit Trees (Including Fig and Pomegranate). Home Includes Dual Pane Windows, Plantation Shutters, Recessed Lighting, Solid Wood Floors, Tile Floors and Concrete Tile Roof. All Appliances Incl. Refrigerator & Microwave. Breakfast Nook Custom Table. All Window Coverings.